Back in mid-February, I joined a group of birders from the Pennsylvania Society for Ornithology on a trip to Ontario. Our main destination was Algonquin Provincial Park, a massive park that encompasses thousands of acres of boreal forest and scattered lakes and ponds. Here, even in the dead of winter, birds manage to find a way to persist on limited resources and in extreme cold. 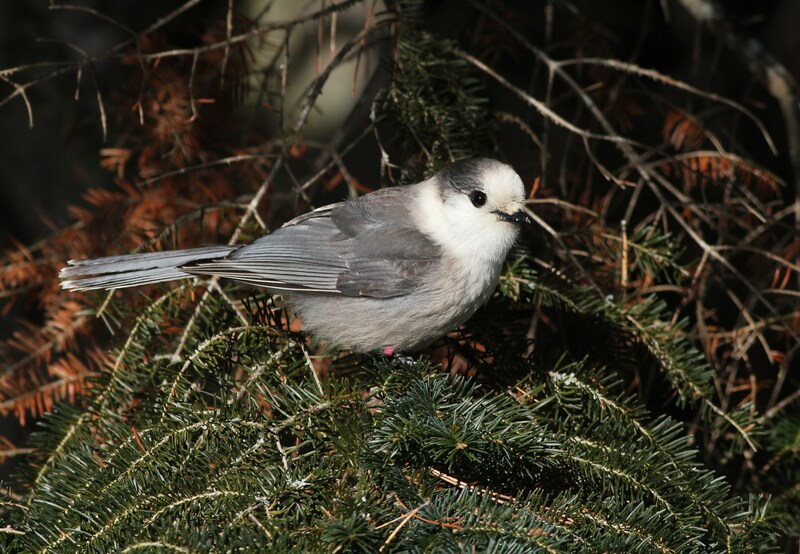 Perhaps one of the most cold-hardy and also most anticipated species of our trip was the Gray Jay. 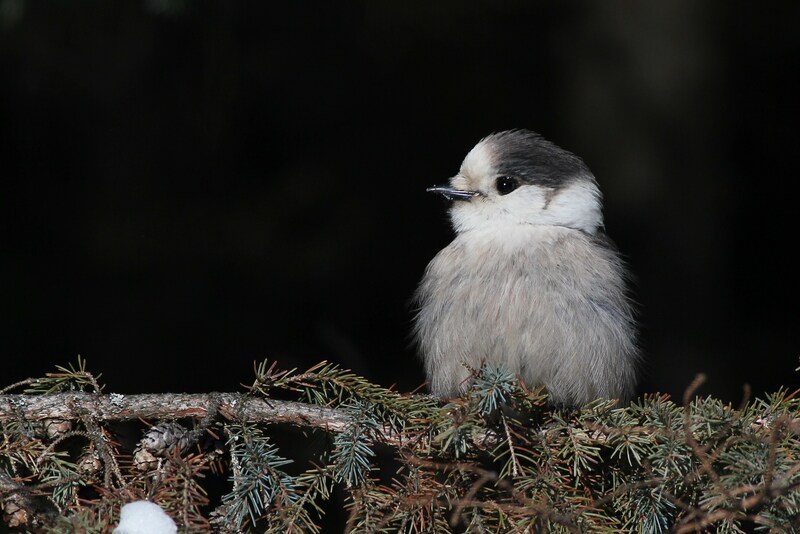 We encountered our first group of Gray Jays along Opeongo Rd on our first morning in the park. 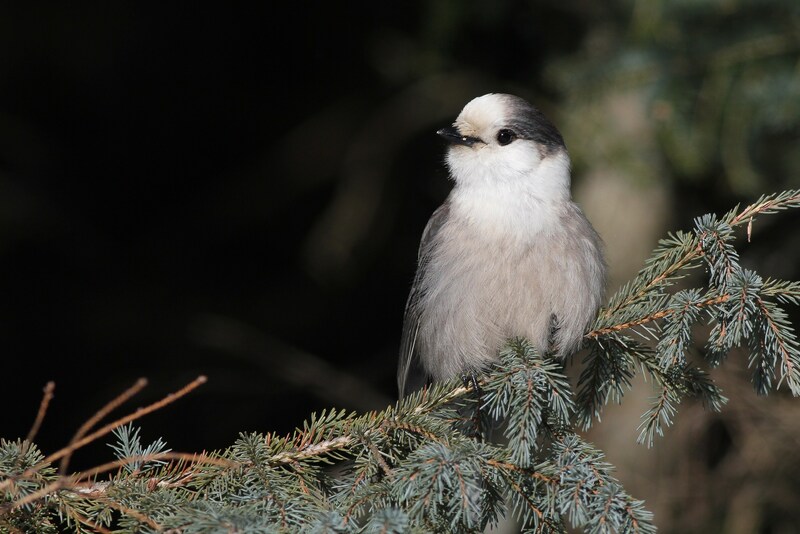 The Gray Jays were very curious and quickly came in to the edge of the road to investigate the group of birders from PA, and were eager to fly down to our hands for bits of crackers. As we stood there freezing (my beard was honestly covered in ice) and watching the jays, it was hard to imagine how the birds not only survive the bitter cold but also prefer to nest and raise young in the sub-zero temperatures of the Canadian winter. 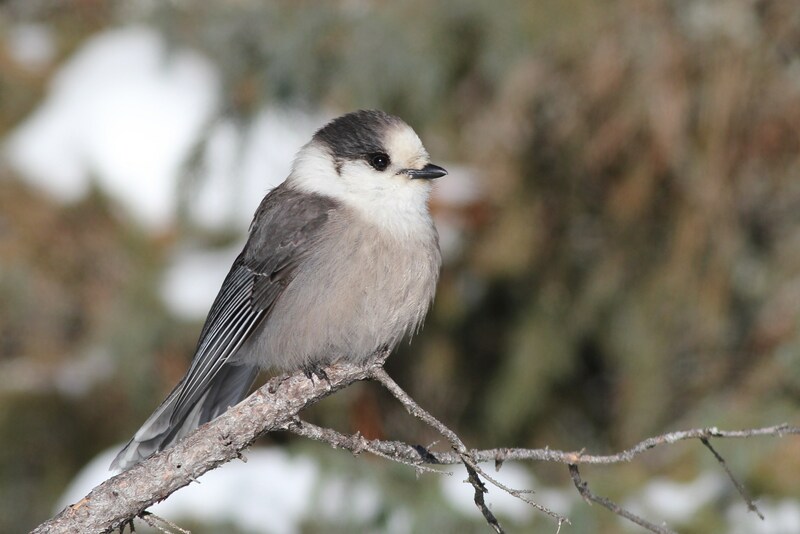 However, as you can see from the photos below, Gray Jays are built for the cold weather with thick, insulating feathers covering their entire body and even their nostrils. For more life history information and cool facts about this fascinating species, visit this link.